The powerful and complex emotion of fear is a natural part of life; it’s an emotion that often serves a vital purpose by prompting us to recognize, reflect, filter, and then sort things out. What used to be called a fear of God is something as adults we realize is a healthy mix of respect and awe that is dominated by love, not fear. Sometimes denial is a tempting course of action at first. But by committing to work through our fears—on our own, with help from others, and with professional help at times—we can learn that denial only holds us back from experiencing life fully and peacefully . . . which can also interfere with our ability to reach our potential as people of faith. When fear becomes a force in life, it usually generates additional stress and anxiety, both of which can prevent us from moving forward. Making personal progress is inherently about shifting focus on a few levels. When a fear is newer in our life, it’s easy to feel overwhelmed. Rather than forcing ourselves to immediately “solve” the issue that brings us the fear, it’s often gentler to remind ourselves to go to a focus of gratitude—what we are grateful for in our life, what our blessings are, and remember all it means to be loved so deeply by God. This helps us begin to shift our focus on facing the fear and positively visioning what’s ahead as we work through the issue. It’s so important and liberating to remember to invite God to carry us for awhile as we find our footing on an issue. His love and help doesn’t take away from the free will with which He blessed us; it gifts us the opportunity to let go of what we cannot control. 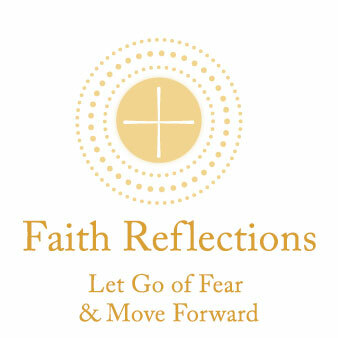 Cultivating faith over fear engenders hope and helps us embrace peace when we can. The Bible tells us hundreds of times: Do not be afraid. We’re meant to take notice! Jesus, who profoundly understood fear, gave us this message to calm our hearts, to help us take courage, and to remind us we are capable of growing through the fears as a natural part of our human condition.